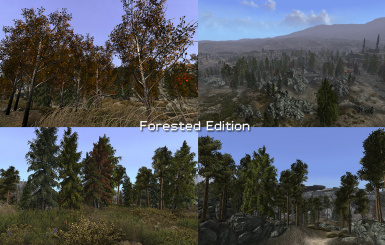 Forested: replaces 7 of the default trees with lush versions. A much more colorful and fertile landscape than default. 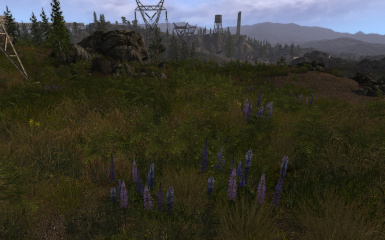 Has 7 more groundcovers (lupins, ferns + more) compared to the other versions. Comes with new ground LOD's (based on NMC + my own tweaks). Has the least clipping problems of all the versions (except maybe "Lite"). Small/medium to large sized trees. 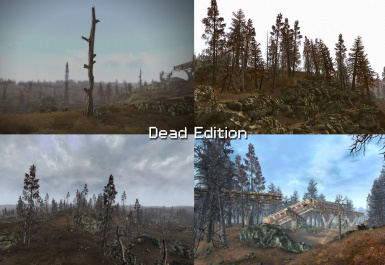 Dead: Lore friendly version with 7 new dead trees and new groundcovers. Very large trees for a more forested feel. 4K grass texture. 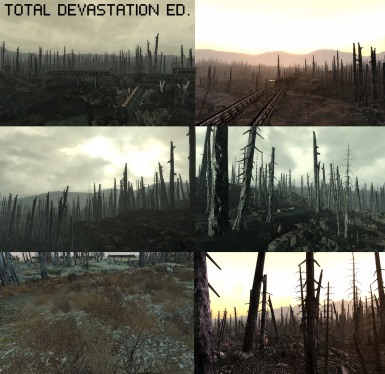 Total Devastation: Lore friendly version without any lush trees. 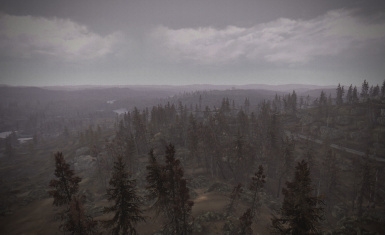 4 of the default trees are replaced with new much larger and taller dead trees, inspired by the dead pines in the movie The Road. 4K grass texture. 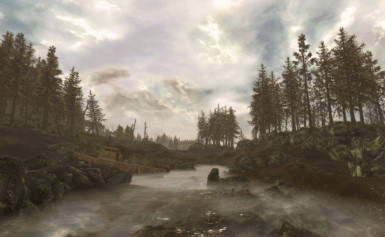 This mod does not look good with sunny weather and blue skies, i highly recommend very muted colors (the original greenish filter does a decent job here) + and other mods (weather/sky mods) that makes the atmosphere really dark and moody (see my video of this mod). Lite: replaces 2 of the default trees with lush varities. New groundcovers. 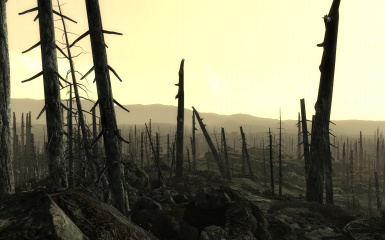 A slightly more fertile landscape than default FO3. I highly recommend the other versions instead of this one ;) Though i will leave it on my page for those that would like to try it. Only install mods manually if you know what you are doing (as in knowing what files does, what folder structures the game has etc). 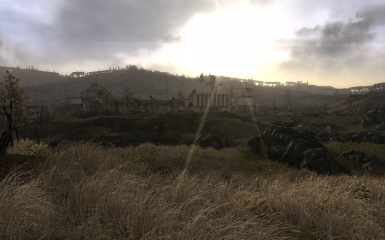 Install the mod using Nexus Mod Manager and save yourself a heap of trouble if you want to uninstall it. I will NOT help you to sort out your uninstallation problems! 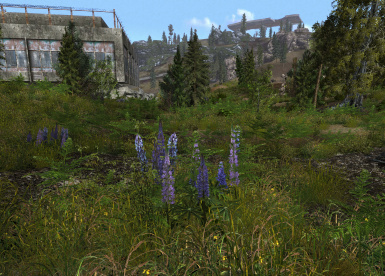 Flora Overhaul Forested looks best using Fellout since i tweaked saturation etc with this mod installed! Not recommended for Total Devastation Ed. 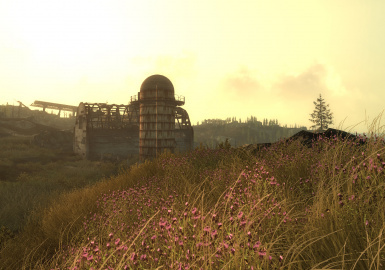 in your fallout.ini (below [grass]). Spell like above; texure, not texture (use copy/paste to be on the safe side). This edit enables more grass types and makes the grass more lush. Remember to use Archiveinvalidation Invalidated (google it if you don't know what it is). Video: How to fix trees clipping through stuff(e.g tall trees poking through a bridge). 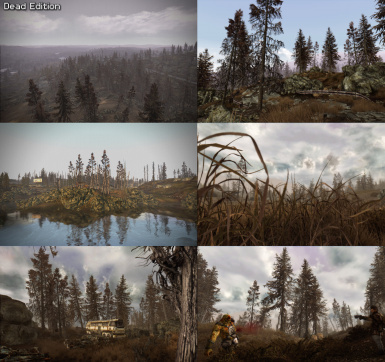 * Check out the mod below, it provides better LOD's. Didn' try yet but worth checking out. 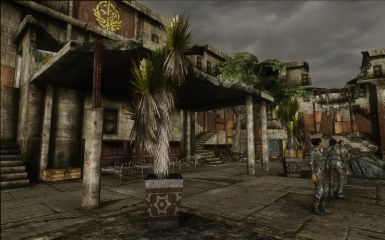 It comes with support for my mod: http://www.nexusmods.com/fallout3/mods/21174/? 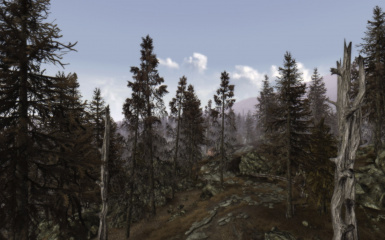 * To fix transparent and ugly looking leaves on the trees turn off antialiasing in the FO3 Launcher and instead force 4-8X Supersampling and AA through your nvidia controls. Supersampling makes a huge difference for leaves, highly recommended! Also see FAQ. 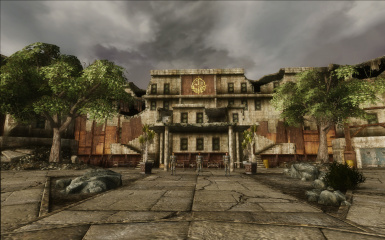 * The Citadel courtyard is cleaned up and now has additional more courtyard-like trees and plants (totally unique to this area). * One of the pines is replaced by a new tree. * Tweaks to many of the textures. Pines should now be less dark amongst other fixes. 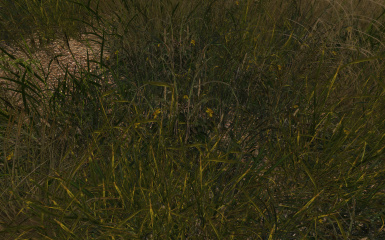 * Textures are tweaked with ENB turned on, hopefully it looks ok for those not using ENB. * Treedead01 and 03 are now less "mechanical" looking. * Missing collision fixed on 3 trees. Q: The leaves on the trees are very transparent, why is this? A: You download the file and version you want. All versions are under "Files". Q: There is no change for me, i have the .esp activated. A: Make sure you are using some form of ArchiveInvalidation Invalidated (google it). Q: I don't have as much grass in my game as in your screens? Q: What does the .esp do? 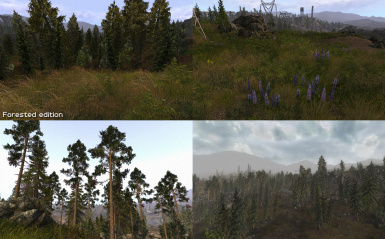 A: Edits to grass spawn rates and edits to which trees which will recieve LOD's. 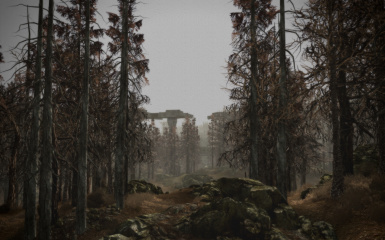 Q: Does this mod add more trees? A: No, it's a pure replacer. The new tree meshes are in the exact same spots as in the original game. It might look like a lot of trees has been added, but it's only because the original trees are sometimes very tiny compared to my 5-10x (or so) larger meshes. Q: How compatible is Flora Overhaul with other mods? 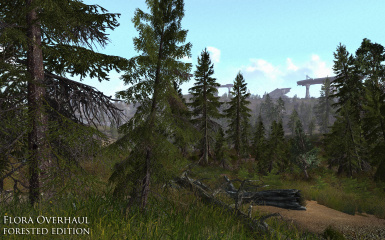 A: It should be compatible with all mods except those that does changes to the grasses or trees. Q: I want to remove the mod, which files do i remove? A: Use NMM to install and uninstall the mod. Never install mods manually unless you know you can uninstall it manually too. I'm not sorting out your uninstallation problems, sorry. Q: The trees are sometimes tilting a lot, could you make them stand straight? A: No. If do even the slightest change to any of the trees it will break the LOD generation. Q: The LOD's are straight but the actual tree is tilting, could you fix this? A: No. That's a limitation with the LOD generation, it doesnt take tilting into account, LOD's will always be placed straight. Q: Can you remove the trees that goes through stuff (bridges etc)? A: No. If i scale down those trees and then regenerate tree LOD's then the LOD's becomes glitchy. It seems impossible to touch the the trees even the slightest and at the same time have fully functional LOD's. What you can do yourself is to go into the console and click the tree then enter disable this will remove the tree. Save your game and you wont have to do it again. How to fix trees clipping through stuff. Q: Can't you just scale down the trees so that they match the original trees? 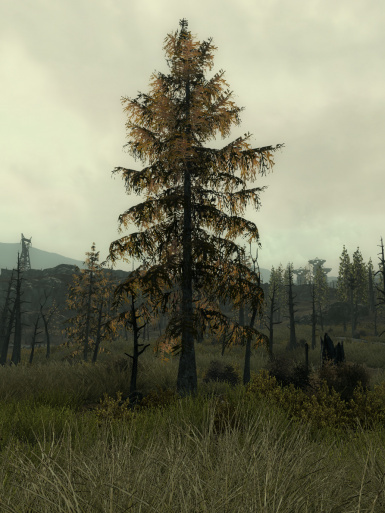 A: I could but the mod just won't look very good with unnaturally small trees (the original dead trees are VERY short!) Full grown pines are very tall trees. Have Fun and i hope you like my mods!